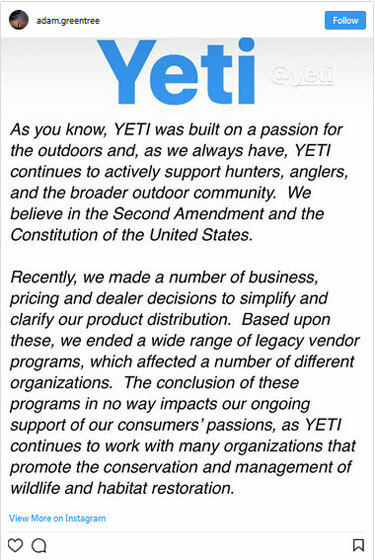 In a move destined to create a chasm between gun owners and high-priced hipster gear, Yeti has decided to stop selling merchandise to the National Rifle Association Institute for Legislative Action (NRA-ILA), according to a statement posted on the NRA-ILA website Friday. 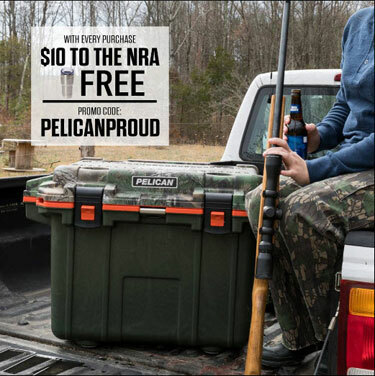 For years YETI Coolers have been a hot item for sportsmen at the Friends of NRA Foundation Banquet and Auction events around the country. These Foundation events raise money to support youth programs and educational programs nationwide. The youth of America who benefit from these programs are the future hunters, hikers, fishermen/women, bikers, campers, wildlife photographers, mountain climbers, sportsmen/women and conservationists who will protect our natural resources and recreational lands. The NRA Foundation is 501(c)(3) non-profit, charitable organization. “7 Daughters of Eve” DNA researcher Brian Sykes and his Oxford team decided to look into Bigfoot-Yeti legends from many continents. In 2012, they put out a call to museums and individuals for cryptid hair samples. What usually happens is a person hears one howling, and “then they see a clump of hair caught in a bush, and say ‘Aha, that’s come from the Bigfoot,’” Sykes tells National Geographic. They received 57 samples. After weeding out plant matter and glass fibers, they selected 36 for genetic analysis. Over half came from the US; the rest are from Russian and South Asia. The team methodically cleaned 2-4 centimeter shaft samples, and then amplified the ribosomal mitochondrial DNA 12S fragment — a snippet commonly used for species identification. Some failed to yield DNA sequences, and the team ended up with 30 recovered sequences, which they compared with GenBank data. They got a 100 percent match for each one. 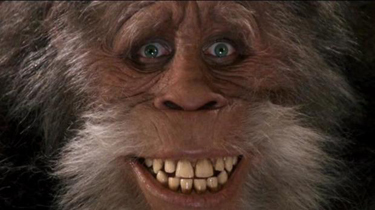 Most samples attributed to hairy beast-men were identified as known species living in their normal geographical range: 10 were brown or black bears, four came from some canine, and the rest were raccoons, horses, cows, sheep, deer, a goat-like serow, and a porcupine. One Texan sample came back as human (very unlikely Neanderthal). The sample that supposedly came from the Sumatran orang pendek (Indonesian for “short person”) turned out to be Malaysian tapir. But there’s more! Two Himalayan yeti samples — one from Ladakh, India, and the other from Bhutan — came from a mystery bear whose closest genetic affinity is to an ancient polar bear, based on DNA from the jawbone of a Paleolithic Ursus maritimus who lived 40,000 years ago. The golden-brown Ladakh sample was collected by a hunter four decades ago when he thought he shot an abnormally aggressive brown bear. The reddish-brown Bhutan sample came from what was known to be a migyhur (or yeti) nest in a bamboo forest 3,500 meters in the air. The researchers suspect these hairs came from unrecognized bear species, color variants of polar bears, or maybe a polar bear x brown bear hybrid (pizzlies! ), though they can’t know for sure without genomic sequence data. 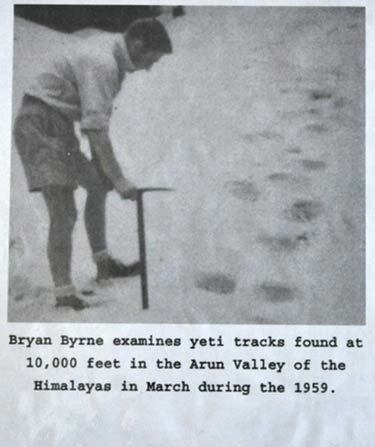 Geneticist Bryan Sykes may have identified the mysterious Abominable Snowman of the Himalayas. Research by a British scientist has concluded that the legendary Himalayan yeti may in fact be a sub-species of brown bear. DNA tests on hair samples carried out by Oxford University genetics professor Bryan Sykes found that they matched those from an ancient polar bear. He subjected the hairs to the most advanced tests available. He says the most likely explanation for the myth is that the animal is a hybrid of polar bears and brown bears. Prof Sykes told the BBC that there may be a real biological animal behind the yeti myth. “I think this bear, which nobody has seen alive,… may still be there and may have quite a lot of polar bear in it,” he said. Prof Sykes conducted the DNA tests on hairs from two unidentified animals, one from Ladakh – in northern India on the west of the Himalayas – and the other from Bhutan, 1,285km (800 miles) further east. The results were then compared with the genomes of other animals that are stored on a database of all published DNA sequences. Prof Sykes found that he had a 100% match with a sample from an ancient polar bear jawbone found in Svalbard, Norway, that dates back to between 40,000 and 120,000 years ago – a time when the polar bear and closely related brown bear were separating as different species. The species are closely related and are known to interbreed where their territories overlap. The sample from Ladakh came from the mummified remains of a creature shot by a hunter around 40 years ago, while the second sample was in the form of a single hair, found in a bamboo forest by an expedition of filmmakers around 10 years ago. Prof Sykes said that his results were “completely unexpected” and that more work needed to be done interpreting them. 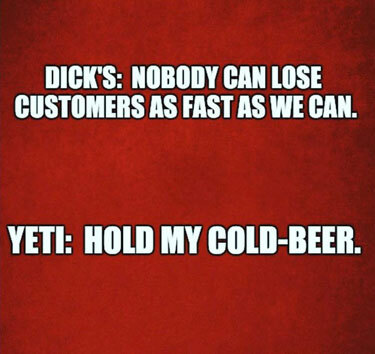 the Archives of Never Yet Melted in the 'Yeti' Category.